Chanel's 'Chance Eau Tendre' is my scent for the spring. Since I am not that good at describing scents I will give tell you what the notes are that create this heavenly fragrance. For me it has the perfect balance between fruity with depth. Some summer and spring scents are too fruity. 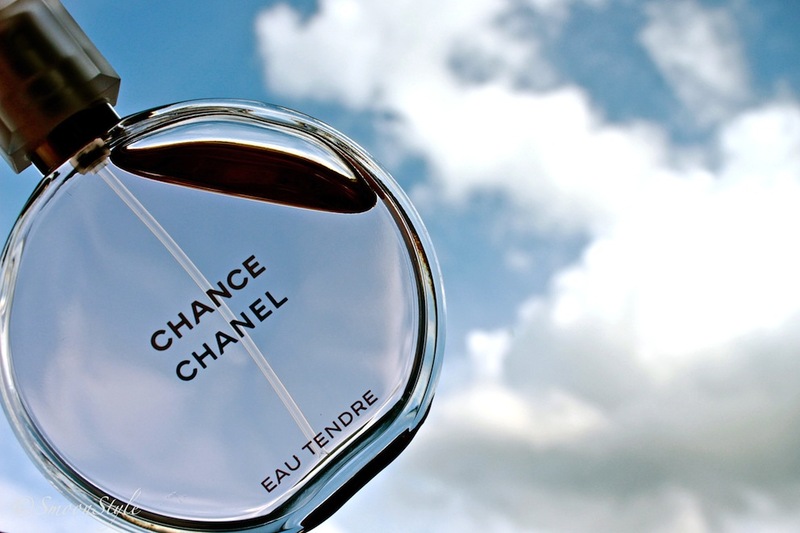 Chanel's Chance Eau Tendre definitely has personality. If the 'Eau Tendre' is not your thing, you might like it's sister: 'Eau Fraiche'. Go have a sniff when you have the chance and try it out on your skin to see how it develops. Each fragrance turns out different with each person. I have a very weak sense of smell, so perfumes don't mean much to me, but I've noticed good reactions when I'm not smelling like my chicken sheds. I don't have to buy fragrances, I just test out the free samples in the shops. My adopted Mother's favorite perfume was Chanel No5. A bottle has been lying in the bathroom almost full for almost 10 years. Do you like Chanel No5? I could give you the bottle if you wish, if you come back to Glasgow in the future with the vip sessions again. wow sounds good :) and I can't believe you took this AMAZING picture! !